Browse: Home » 2009 » December » 04 » jQuery.mb.flipText 1.0 is Out! 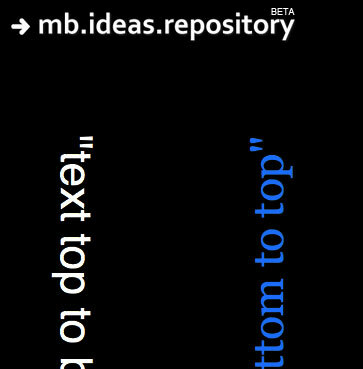 jquery.mb.flipText is a simple plug-in to turn your text vertically in both direction: top-bottom or bottom-top.Wasn’t that something you would have done on your HTML pages? See it also presented in Patapage: Flip your HTML text around.